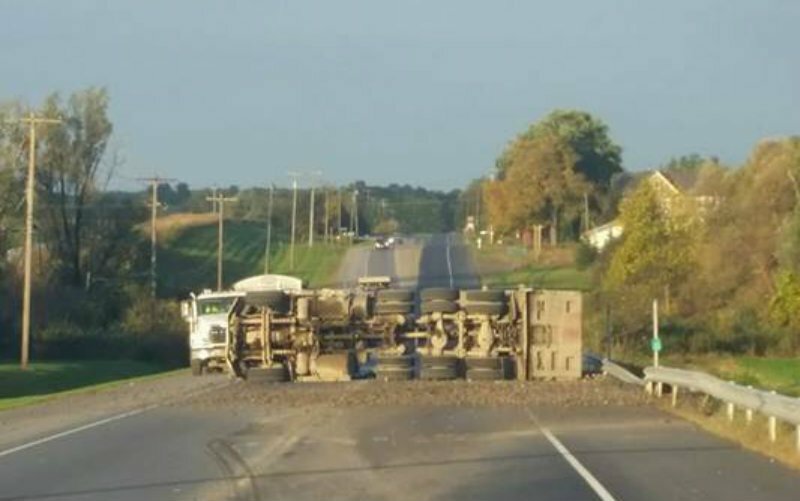 Crews in Ontario County were called to the scene of an accident involving a dump truck. According to first responders, Stanley, Seneca Castle Fire, and Gorham Ambulance were all called to the scene. When crews arrived on-scene they noted that a single dump truck was involved, which had overturned and was blocking almost all of Rt. 5&20. First responders added that Rt. 5&20 would remain closed for a period of time. It was closed between Seneca Castle Rd. and County Rd. 5.